Recent speculation that the jet was the subject of a "controlled ditching" into the sea was dismissed on Tuesday by the Australian Transport Safety Bureau. The bureau maintains that the pilot was unconscious during the final moments. The passenger plane disappeared in 2014 while flying to Beijing from Kuala Lumpur with 239 people on board. The official search for the wreckage of MH370, also involving Malaysia and China, was called off in January last year after 1,046 days. Investigators from the Australian Transport Safety Bureau (ATSB) have said that the plane was out of control when it plunged into the southern Indian Ocean. But a theory that the pilot was in full control of the plane at the time of the crash has recently been revived in a new book by former Canadian air crash investigator Larry Vance. Mr Vance, who appeared on Australia's 60 Minutes programme earlier this month, says in his book that the ATSB investigation was flawed and its conclusions of the aircraft's final moments are wrong. "He [the pilot] was killing himself; unfortunately, he was killing everybody else on board, and he did it deliberately," Mr Vance told 60 Minutes. However the ATSB's search director, Peter Foley, on Tuesday defended the bureau's findings, insisting that investigators had explored all the advice and analysis provided. "We considered every piece of evidence that we had at the time in an unbiased fashion," Mr Foley told a parliamentary hearing in Canberra, adding that he had read Mr Vance's book. "We have quite a bit of data to tell us that the aircraft, if it was being controlled at the end, it wasn't very successfully being controlled," he added. Flight MH370 disappeared after it stopped sending communications hours into its flight on 8 March 2014. The subsequent hunt formed one of the largest surface and underwater searches in aviation history. 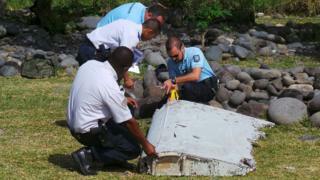 The Australian government has said it will only resume the search if "credible" new evidence surfaces. A private US firm began another search for the plane earlier this year but so far has not turned up any clues.